Clemson: Where the Tigers Play is the most comprehensive book ever written on Clemson University athletics. This book chronicles over 100 years of Tiger athletics, listing yearly accounts of statistics, records, bowl and tournament appearances, and historical moments. Read about the legends that put the Clemson Tigers on the map, including Banks McFadden, John Heisman, Rupert Fike, Frank Howard, Fred Cone, Bruce Murray, Bill Wilhelm, and I. M. Ibrahim. Also included are vignettes on some of Clemson’s greatest moments—the 1981 national football championship and the 2015 national championship game appearance, the 1984 and 1987 national championship soccer seasons, College World Series appearances, the Frank Howard era, and the inaugural running down the hill in Death Valley. Other vignettes include career sports records; players in the NFL, the major leagues, and the NBA; and Tiger Olympic medalists. This newly revised edition offers the ground breaking accomplishments and victories that countless teams have had at this university. Clemson: Where the Tigers Play is a must-have for any library of every loyal Clemson fan. 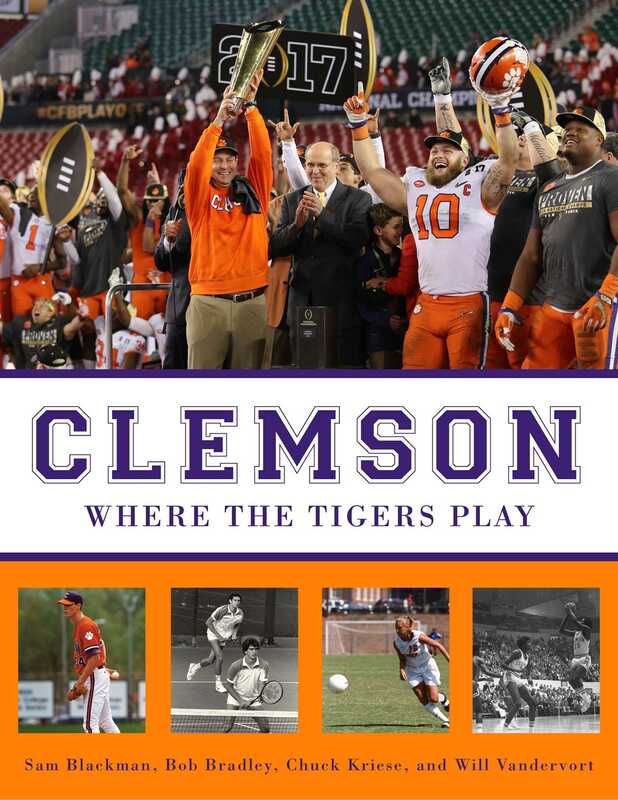 This book examines the rich history and tradition of the Clemson Tigers, and the coaches and players who made it happen!